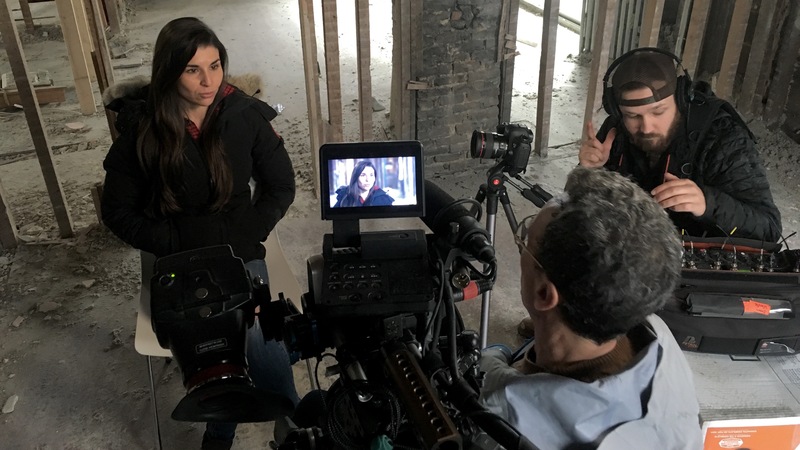 Summing up an apprenticeship with a rock star DP like Ryan Ricker in a few short paragraphs might be impossible but here we go! My start with Go To Team started out by a pool in a beach town outside of Charleston, SC last Fourth of July when by luck, divine intervention or alignment of the stars I met Shawn Moffatt, Go To Team’s Managing Partner / COO. After an afternoon of talking about everything production, I knew GTT would be in my near future. 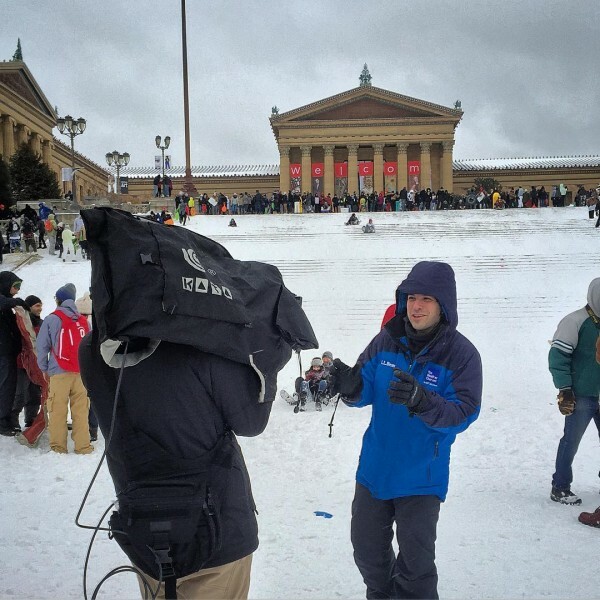 Fast forward six months to January and I’m in downtown Philadelphia, in the middle of Winter Storm Jonas, running audio for GTT’s DC cameraman, Ryan Ricker, who’s shooting live hits for The Weather Channel. This weekend is a top one for me, especially working with a LiveU made it possible for us to navigate the city freely and be able to get to places a satellite truck couldn’t go. For me, this was an awesome introduction as a Go To Team apprentice. The next week, we were in DC for Bleacher Report shooting an interview for their special on Michael Vick (to be released on July 11th) and a commercial spot for the NCAA basketball final four tournament with Duke’s head basketball coach, Mike Krzyzewski also known as Coach K.
The Coach K shoot was special in itself because it was a part of one commercial that multiple GTT cameramen got to work on with various NCAA Championship winning coaches. 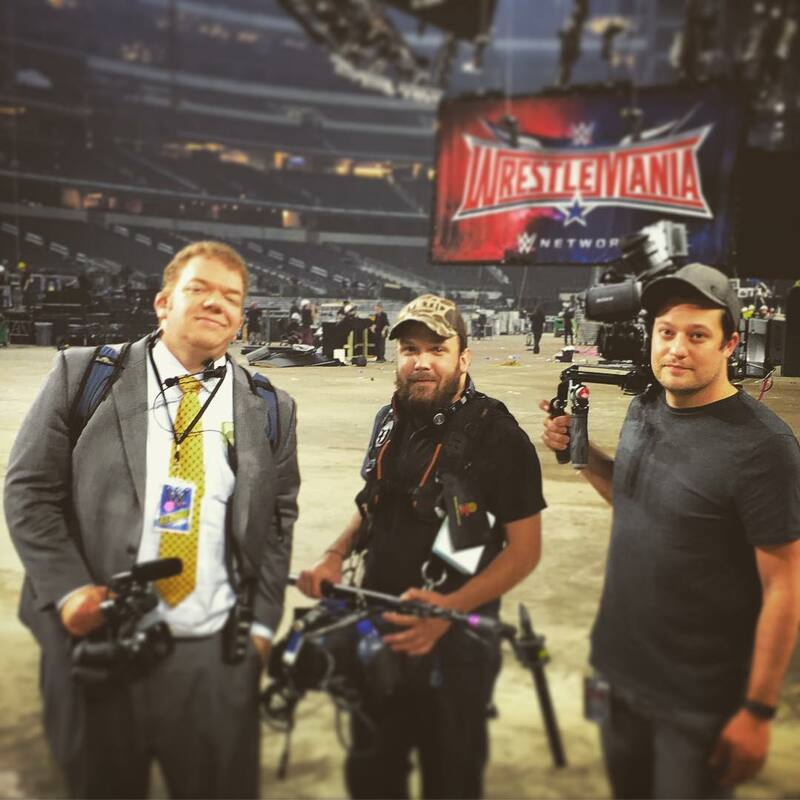 Another one of my all-time favorite shoots was for WWE’s WrestleMania 32 in Dallas, TX. I headed to Texas to follow some of the WWE superstars for specials that will be airing on the WWE Network. WrestleMania week was insane and it all culminated in the night of Wrestlemania 32 where over 100,000 of sports entertainment’s most passionate fans packed out AT&T Stadium. Just like that, there was no rest after a week of WWE coverage because Texas DP Roggg Woodruff and I headed to Portland, Maine to shoot a sizzle reel for a possible HGTV show. You can read his take on the shoot in a blog he wrote! 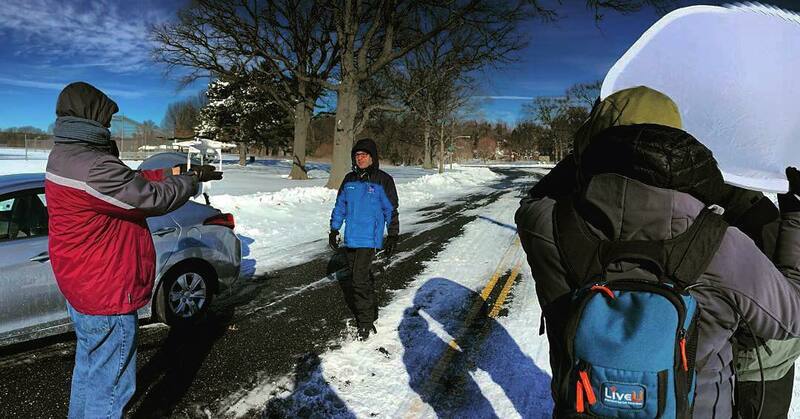 After finally getting some rest, Ricker and I burned the miles in the blacked out Suburban staying on the road for clients like TeamWorks Media, ESPN and BMW to name a few, all the while getting to team up with NYC cameraman, Josh Braunreuther. All in all, my time with Ricker was very educational and exciting. Getting to be around such a creative and talented shooter was a something most only dream of but It had to come to an end though. As Ryan and were prepping gear for the next run of shoots I got a call from the office telling me to be ready to head to Charleston, South Carolina in the next few days and to plan on being there for the rest of the summer. I was super excited to go to a new city for a few months. I packed my bags and headed south. Once there, I learned a new project needed an AC for 10 weeks and I would be joining Senior DP, Dave Baker, as he ran camera. It’s going great so far and again, I’m learning a ton from another great GTT DP.